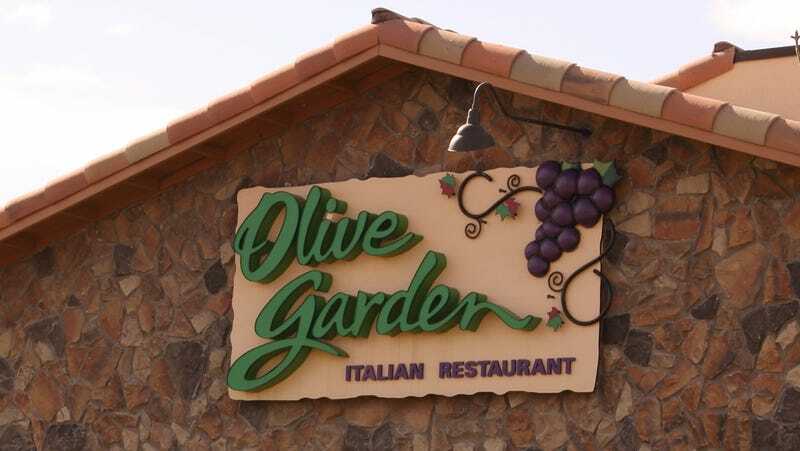 The Miami Herald, one of the great American resources for unusual daily news, reports of Ben Padgett, who was picked up outside an Olive Garden in Naples, Florida, after police were called regarding a disturbance at the restaurant. According to a police report from the Naples Police Department, officers were dispatched to the restaurant around 3:30 p.m. Sunday about a disturbance. The caller reported that there was a man asking patrons for money outside the establishment and yelling expletives. ﻿Before being placed in handcuffs, officers gave Padgett paper towels so that he could clean the pasta off of his face. Thoughtful. Padgett was charged with disorderly intoxication and the nonviolent resistance of an officer, before being released on bond. You know, weird things happen everywhere. As some Takeout commenters have observed, a big part of the world’s hyper-awareness of weird Florida criminals has to do with the state’s Sunshine Law, which legally mandates the public accessibility of most government records, including those of the police. Perhaps this is the enduring power of Florida Man: He might pop up with the greatest frequency in God’s waiting room, but in reality, he’s everywhere all the time.